Three features in advanced development at new all female company. Five Australian women, including actress Rose Byrne and The Last Impresario director Gracie Otto, have formed production company The Dollhouse Collective. Another partner is Shannon Murphy, best known in theatre and opera circles but who has directed short films and is developing feature When All The Water. 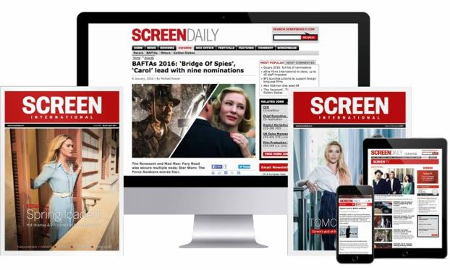 Also on board are publicist and emerging producer Jessica Carrera and actress Krew Boylan, who recently received development support from Screen Australia for the feature Seriously Red, produced by Matt Reeder and featuring a protagonist obsessed with Dolly Parton. “It’s a mystery, a puzzle film, that unravels through time zones and hotels,” said Otto of Girls In Hotels, the third feature in advanced development by a member of the group. As part of the development, she has filmed five short films featuring, among other actors and cities, Zhu Zhu in Shanghai, Bella Heathcote in Los Angeles and Grace Huang in Hong Kong. She is quick to say the presence of these actors does not indicate who will eventually be cast. Otto is currently in Los Angeles for meetings but, like Carrera and Murphy, lives in Sydney. Byrne and Boyland are based in New York. All will continue to collaborate with companies and individuals outside the group. The Dollhouse Collective partners say they also intend to champion women across the industry who haven’t had opportunities in the past and to support the work of women who have paved the way for them. The group launched the brand with a spread in the magazine Vogue Australia. In that forum Byrne said she has “long had the desire” to produce. Her on-screen credits include Bridesmaids, Insidious and the US television series Damages alongside Glenn Close.